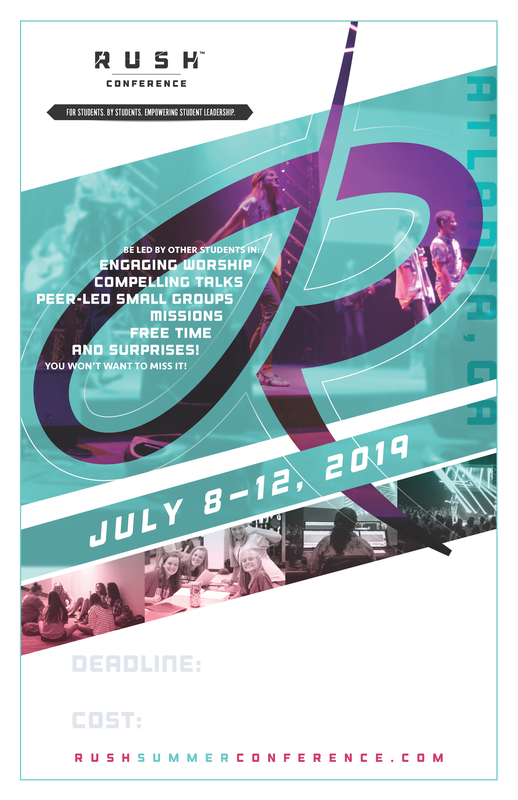 Registration cost includes conference fees, lodging, breakfast at hotels, dinner on Thursday night, two days of missions, and welcome leader gift bag. If you would like Perimeter to coordinate dinner for your group on Monday, Tuesday, and/or Wednesday evenings, the cost is $12/person/night. You can add that to your cost when you check out. Registration is open from January 15 – May 15, 2019. This media is free to take and use to promote RUSH at your church. To download a file right click the image and choose “save as”. 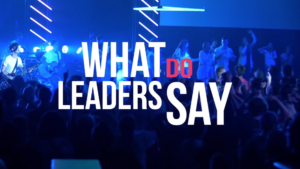 After you register your church for Rush, you’ll want to promote Rush to your students. 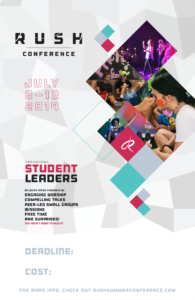 Use this poster (and fill your details), as well as our promo video (available via Vimeo on our home page) to help get your students excited about Rush 2019.